Green Theme Campaign to Travel Across North India. Protecting Gardens & Nature Cleopatra's Way - Green Theme Campaign to Travel Across North India. Cherish dream of getting dolled up like a princess on your D DAY and look evergreen by going green. 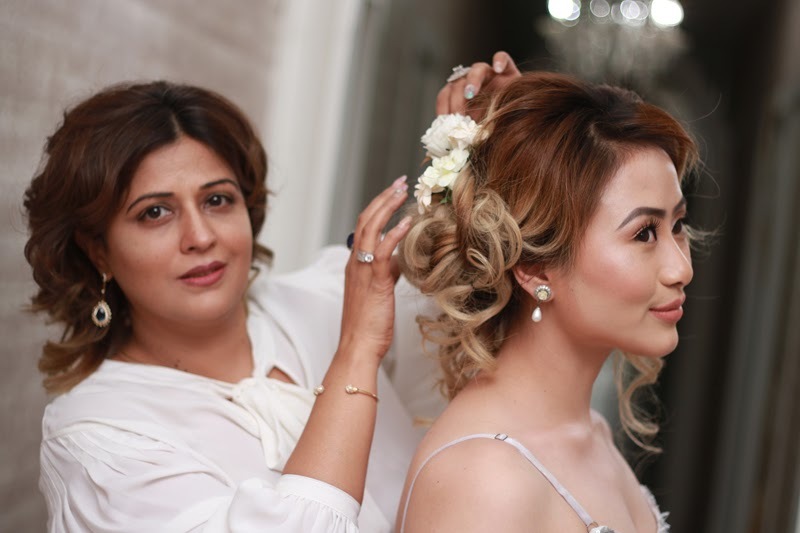 let your wedding day be one of the most royal days and royalty doesnt come by going elaborate or extravagant with your look and makeup but by looking elegant while remaining connected with roots and staying close to the nature. During the occasions Stunning models displayed vivid looks that remained high on flower power and remained pink inspired with bold brows, green elements of nature worked their way and got paired with wavy hairstyles, loose boho braid, elegant bun and bouffant with flower accessories, shimmery neck with organic makeup remained ethereal going with garden vibe. Much desired white and green floral mingled with succulent and rustic detailing. So go romantic, dreamy and sophisticated in nature inspired wedding looks.